W.R. Hodgens Marine Insurance, Inc. Thank you for visiting W.R. Hodgens Marine Insurance, Inc., the yacht insurance specialists. Please contact us via the info below or go straight to the Yacht Insurance Quote Form to get the insurance quote your deserve. Oct. 10, 2017- Ocean Aero has developed the Submaran™, an ocean going autonomous submarine that sails. See the movie above. 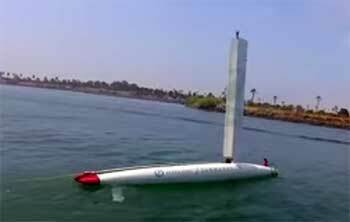 The Submaran™ can travel long distances using sail and solar power to monitor the ocean for almost anything. 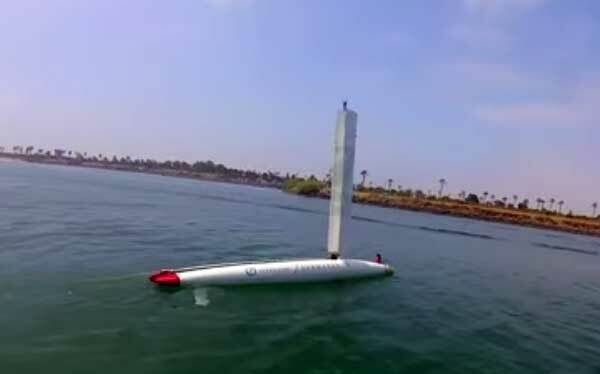 The small (13.5 feet, 4.14m) submersible can fold its mast with sail to dive or power on the surface using solar energy. The Submaran™ can be deployed for months at a time. In addition the the Submaran™ can be deployed from land, a ship and even by air. See the movie below. W.R. Hodgens Marine Insurance doesn't insure the Ocean Aero Submaran™, but it does insure all yachts and charter boats on oceans, lakes and rivers. When you need yacht insurance, W.R. Hodgens Marine Insurance will give you the best insurance quote available. Use the Yacht Insurance Quote Form for fast results or Contact Us for more information. Copyright W.R. Hodgens Marine Insurance, Inc. All Rights Reserved.